Is there a right time for an iconic restaurant to close? Kissa Castañeda muses on the art of saying goodbye. When chef Ferran Adrià announced that he was closing his celebrated restaurant El Bulli in 2010, it sent shockwaves across the food world. Was the master of molecular gastronomy, who came up with such ground-breaking and much-imitated dishes as the liquid olive, really bidding farewell? Journalists assembled think pieces to dissect the decision, diners scrambled to secure an already hard-to-get reservation, and chefs and industry folk pondered the future of fine dining. But the reason was simple: Adrià said operating El Bulli at the same level wasn’t sustainable, and that he wanted to pursue a different direction by transforming it into a research lab and exhibition space. He was merely following his heart (and his gut)—which is exactly what resonated with the legions of food lovers and critics in the first place. In the competitive restaurant industry, what makes a chef stand out is honesty, not theatrics, and a fervent desire to pursue a philosophy. Amber's Richard Ekkebus, who has helmed the restaurant since it opened in 2005, feels that a new iteration on the restaurant is necessary. Following Adrià’s reign was the climb to prominence of an El Bulli alumnus, chef René Redzepi, who fuelled the rise of New Nordic cuisine with his restaurant Noma. From 2010 to 2015, we witnessed his massive influence on the global gastronomic scene. He single-handedly helped transform Copenhagen into a dining mecca, shifted the conversation to locavorism and zero-waste cooking, encouraged chefs to try foraging, and added a certain warmth—hygge, if you will—to the fine-dining experience. What transpired after years topping the lists was already somewhat expected—he temporarily closed Noma in 2016 and continued on a pop-up tour around the world. Last week, on Feb 16, Redzepi reopened the restaurant with a greater focus on seasonality and defined by a more casual flavour. It also has an urban farm. For Gaggan Anand, who made his name in Bangkok, Thailand, Japan is where he needs to be moving forward. This “last supper” syndrome can also be seen in Asia. The past year alone has seen chefs Gaggan Anand and André Chiang—two of Asia’s most recognised chefs—announce the closing of their eponymous restaurants. For Anand, it’s a move to Fukuoka, Japan after closing Gaggan in 2020, while Chiang returns to his homeland of Taiwan to concentrate on his restaurant Raw and mentor the next generations of chefs, having served his last meal in Singapore on Wednesday (Feb 14). 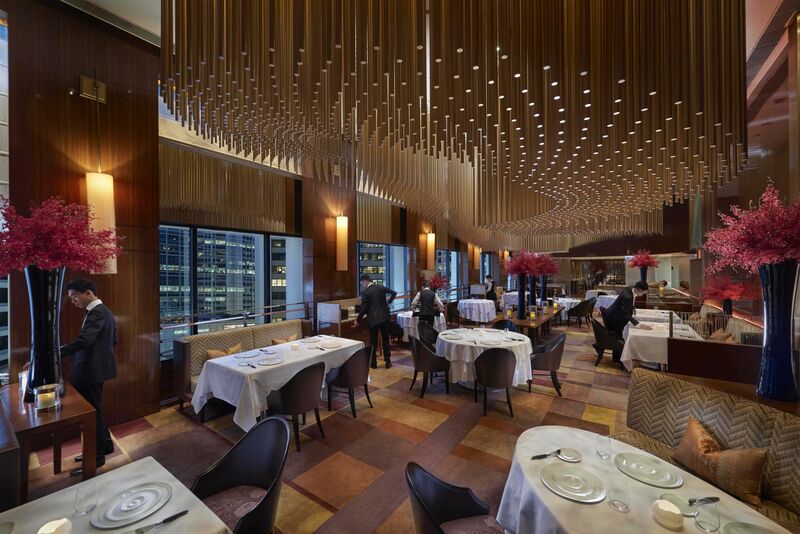 Chef Richard Ekkebus of multi-awarded Amber in Hong Kong also revealed the temporary closure of his restaurant in 2018 in order to forge a new path; he will unveil a new iteration of the restaurant a year later. From the outside, it seems mind-boggling that they would exit or pause at the pinnacle of their careers. Is there much more to ask for when you’re bestowed with Michelin stars and top rankings on the 50 Best Restaurants lists, incessant media coverage and weeklong waiting lists? All of the aforementioned chefs, however, spoke of the double-edged sword of expectations. Diners come with preconceived notions, while critics expect the highest level of consistency—this leads to a “freeze” that hampers innovation and creativity. After years of gruelling 15-hour days, what most chefs of that calibre aspire to is a fresh start. Leaving while you’re on top is nothing new, but is still novel in the culinary world. We didn’t really expect restaurants to have expiry dates, nor did chefs usually take these big risks in the past. But why not? Sometimes, we forget that eating at a restaurant is a unique experience that cannot be replicated. No two days or dishes are ever the same, and experiences, by their nature, are fleeting. We never know when the end is near—so for all of us, the best thing is to savour the moment. Given a clean slate, there’s no doubt that the next chapter will be exciting for both chefs and food lovers alike. Besides, only when artists are given a blank canvas can they truly create a new masterpiece.